Let me tell you a story about how my network of talented store owners helped me accomplish a huge goal of mine. Several months ago, I posted in the Savvy Shopkeepers Facebook Group and asked for feedback or name ideas on a Fund I was interested in creating. 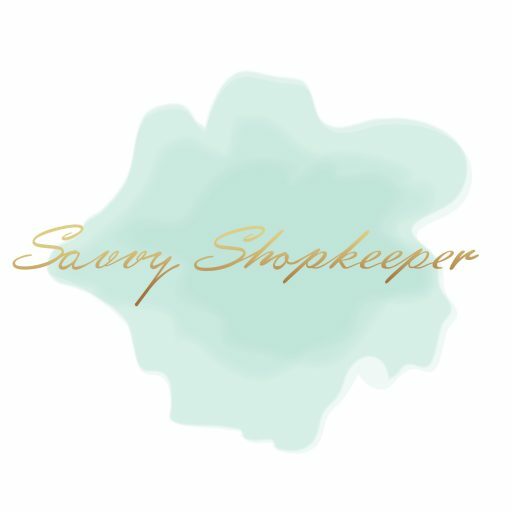 I knew I wanted to take a percentage of the sales from the Savvy Shopkeeper online shop and contribute to a fund to help educate shop owners of all kinds. So many of us take a leap of faith because we feel it in our soul to be a shop owner. Shop owners come in all shapes and sizes. From maker, online shop owner, market vendor, brick and mortar store owner, booth vendor and more. Along the way, we try to educate ourselves or learn lessons along the way. Most of us have no formal education in owning a business, but we have the heart and soul to succeed. No matter what kind of shop owner you are, I want to support you and help educate you. Why? Because education is extremely important. If we don’t know our financial numbers, we don’t know our business. When we can’t learn the core of marketing (telling our story), then we can’t successfully sell our goods or business. If we don’t set up systems and processes, then we fail at managing time. We know we have the grit, but we need to learn and become educated to do things well in business. And quite frankly, to do it right. We can’t and shouldn’t always wing it. One group member – Lisa Bridenbaker of Bridenbaker Designs – commented with the “Savvy Support Fund” name suggestion and I loved it! So I started the Savvy Support Fund. Lisa Bridenbaker of Bridenbaker Designs reached out to me a couple of months later with the idea to create a necklace to help support the Fund and I was all for it! Lisa generously designed a necklace, made a batch of them, packaged them nicely, provided them at wholesale cost, and delivered them to me. I am touched by her kindness, her attention to detail and her follow-through. She is one of the biggest supporters of the Savvy Support Fund. I’m thrilled we recently launched the Stay Savvy Pendant Necklace. The necklaces come in a variety of colors and $5 from the sale of each necklace will go to the Savvy Support Fund AND I’m shipping them for FREE! 5%, $5 per necklace. It may not seem like much, but I am happy to start somewhere. I am also proud to say the Fund is currently at a point where I could use the funds to host a small workshop event, pay for food, small gifts and offer free tickets to several attendees. The power of community is amazing and the Savvy Shopkeeper community is the BEST. If you would like to support the Savvy Support Fund by purchasing a necklace, please click here.